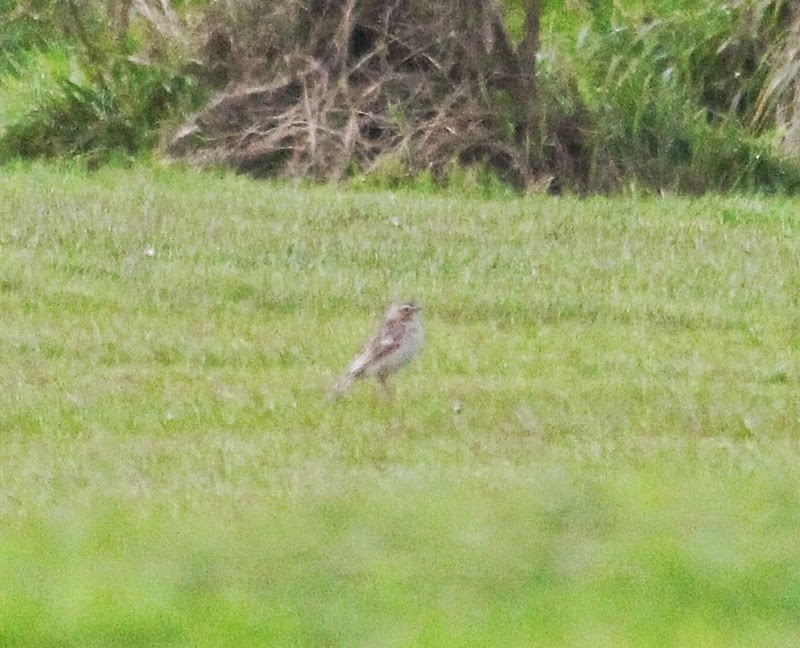 The clear highlight of the day was the discovery of Scarborough's first ever TAWNY PIPIT on South Cliff Golf Course, the 2nd addition to the Scarborough list in four days following the Short-toed Lark on the 20th. 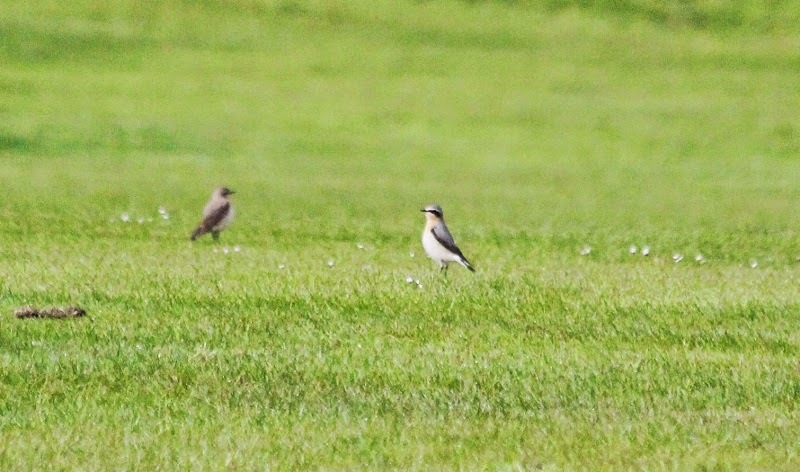 The Pipit was associating with a loose flock of Wagtails and Wheatears on the Golf Course but was often flushed by the many Golfers, it was present from the time of discovery at 08.50hrs until late morning when thick fog rolled in for the remainder of the day. 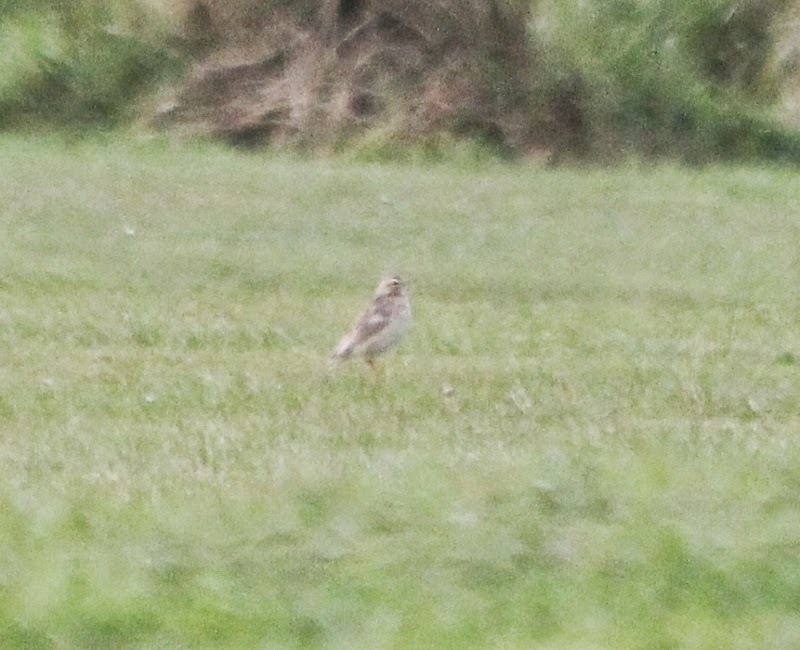 Other migrants between Long Nab and Cornelian Bay were 2 Whimbrel, 6 Wheatear, 8 Yellow Wagtail, 4 White Wagtail, 1 Ring Ouzel (Cornelian Bay), 4 Lesser Whitethroat, 4 Whitethroat, 5 Blackcap, 1 Sedge Warbler, 1 Grasshopper Warbler (Long Nab), 2 Willow Warbler, 13 Chiffchaff and 1 Firecrest (Crook Ness). Elsewhere a Mandarin was at the Mere, 2 Shoveler, 4 Little Ringed Plover, 1 Common Snadpiper, 2 Dunlin, 1 Whimbrel, 1 Kingfisher and a Wheater were at Wykeham South Lake and 6 Lesser Whitethroat were in Hutton Buscle.